I have to confess to being a massive BJM fan and a first time visitor to Motion. I liked the old industiral heritage building and the sound quality was excellent, it's a really good gig space with a big balcony all around. The BJM were, as ever, awesome live - somehow managing to make their great recorded music even better in the flesh. A superb value 2-hour set of new and classic material (the new stuff is as brilliant as the old). Absolutley loved it, as did my friend who knew little about BJM previously - he was blown away by the blistering 6-guitar finale of Yeah, Yeah and It's Only a Word (as was I!). Reverb dripping, semi-acoustic guitar heaven. Also great to see such an age range in the audience, from teens to grannies. Love music at its best! BJM are still an amazing band! 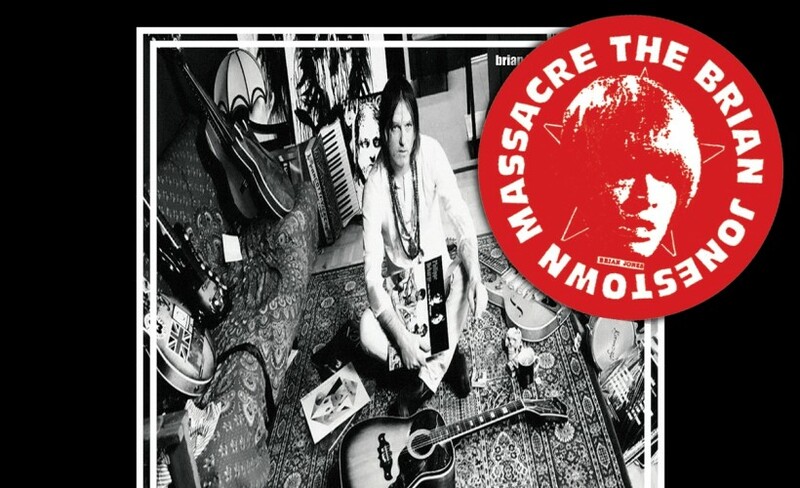 When it comes to The Brian Jonestown Massacre, you need to expect the unexpected. Their innovative and experimental music is accompanied by wild and anarchic gigs, leading to a chaotic band history as captured in the award-winning documentary DIG! Following the release of their stunning fourteenth studio album Don’t Get Lost last year, they head to the UK to play an electrifying tour which takes them to Concorde 2 at Brighton, Motion at Bristol, O2 Academy2 Birmingham and O2 Forum in London during October 2018. Get excited, because Gigantic can now offer you Brian Jonestown Massacre tickets. But do not hang around because demand is high and they will sell out very quickly. Fortunately, we make placing your gig tickets order nice and easy by enabling access to our site 24/7 using your computer, smartphone or tablet whilst relaxing at home or busy and on the go. Plus, they feature in the incredible line up for the La Route du Rock 2018 festival taking place at St Malo in Brittan from Friday 17th till Sunday 19th of August 2018. Led by Anton Newcombe, The Brian Jonestown Massacre were formed in San Francisco during 2001. They have subsequently gained cult band status along with releasing fourteenth albums, including their latest; Don’t Get Lost. Fans are thrilled to hear about these gigs and so we at Gigantic expect our limited supplies Brian Jonestown Massacre concert tickets to sell very quickly - make sure you book yours before they all go! Gigantic is the best place for The Brian Jonestown Massacre tickets.